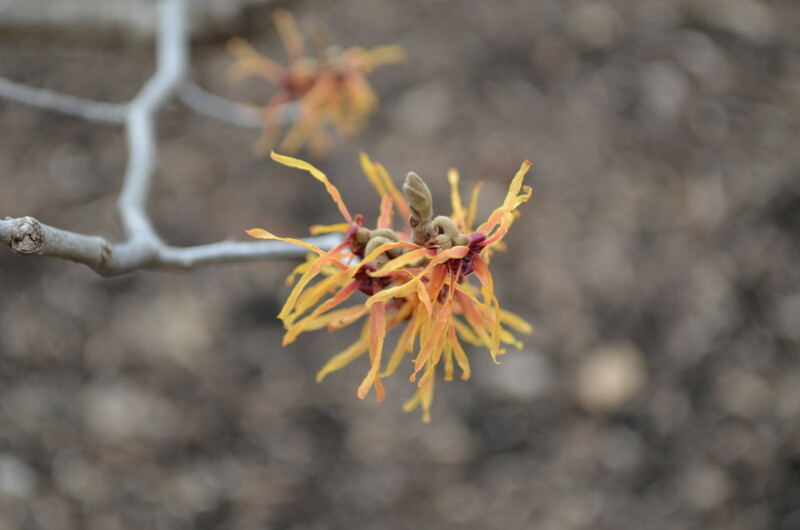 A Very Beautiful Colored Witch Hazel - 'Diane"
Witch hazel has to be among the most interesting blooming trees and shrubs out there. 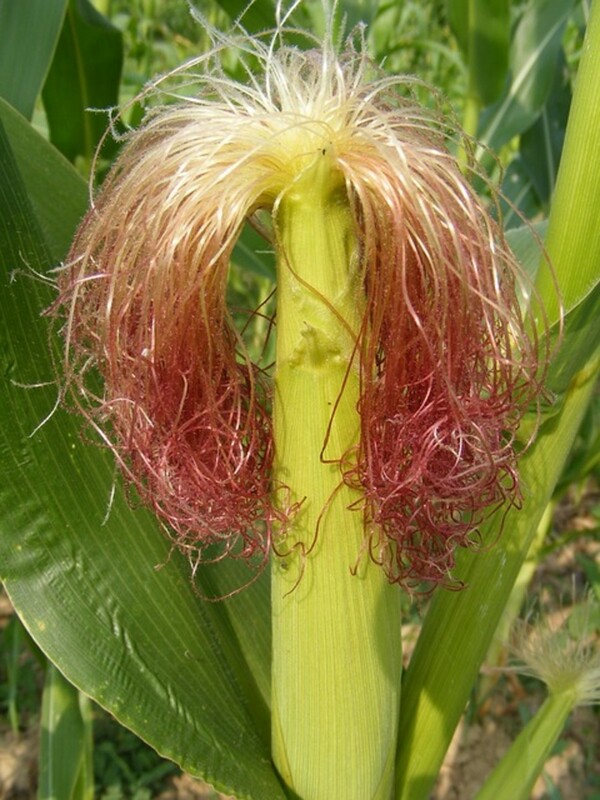 I mean in regards to the design of the flowers, and how they look almost alien like, down to the medicinal uses for the plant. 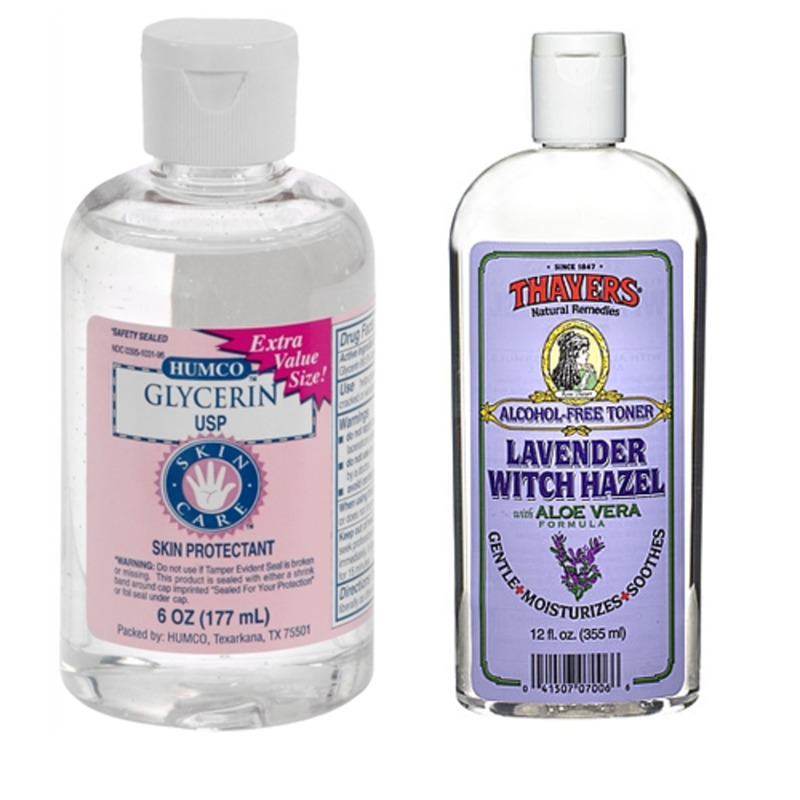 People have been using witch hazel as a home remedy for a very long time. 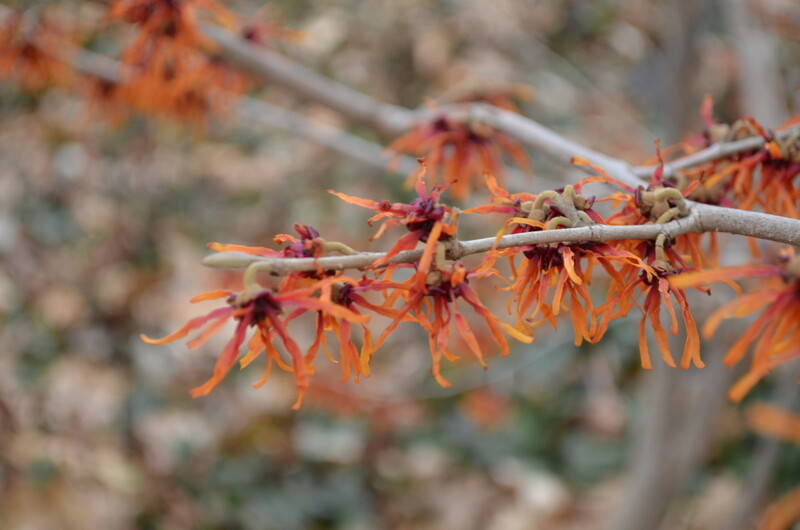 Part of my purpose here is to show you some of the different kinds of witch hazel that can be found, and their names. I hope to decide on one for my own garden in the future. Perhaps two would be even better! 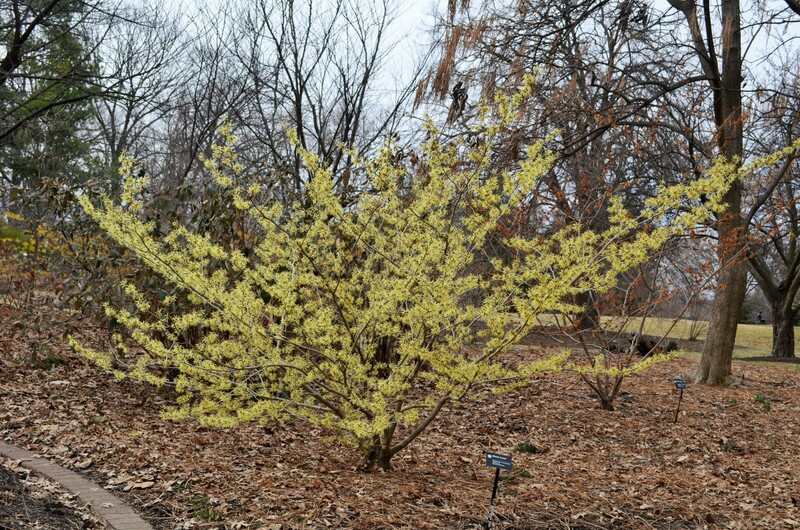 These little trees and shrubs make great specimen plantings in the garden. They can be nice as a backdrop, or a tree that is in the background more than the foreground. These particular ones shown here, while a somewhat dismal looking day, help brighten up an area they are in. 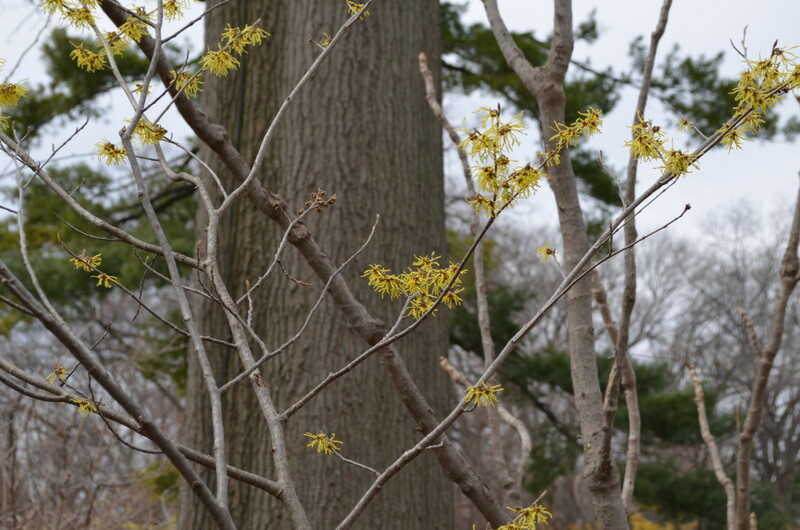 The witch hazel that you see here, are blooming in the spring. There are some that tend to bloom more in the fall. One of the very interesting things I found out is that these trees don't all bloom the same time every year. It all depends on what the weather has been. I don't know of many other shrubs or trees that do that either! 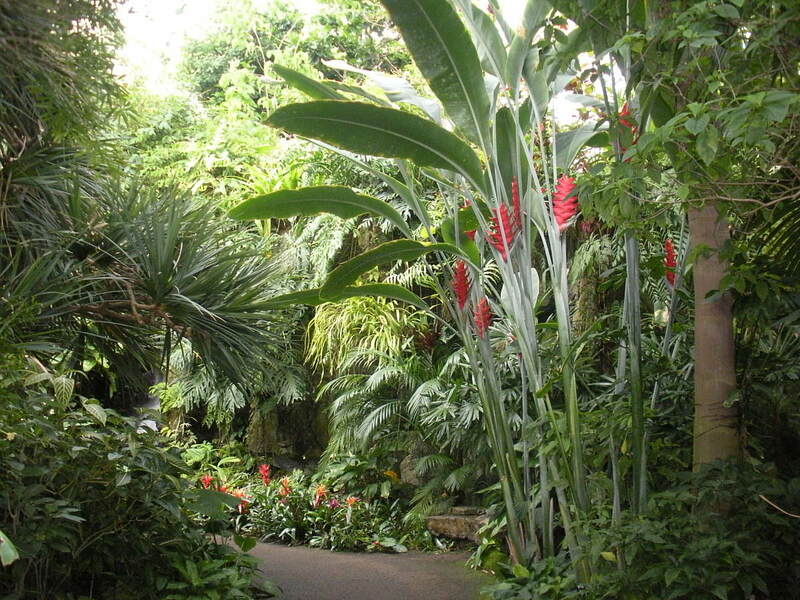 You could plant some of each, and have a lot of fun! I show the names of almost all that you see here, except for one. That way, if you see one you like and want to look it up to find out more about it, you can. The pictures don't do these flowers justice, as they bloom on their little trees and shrub. 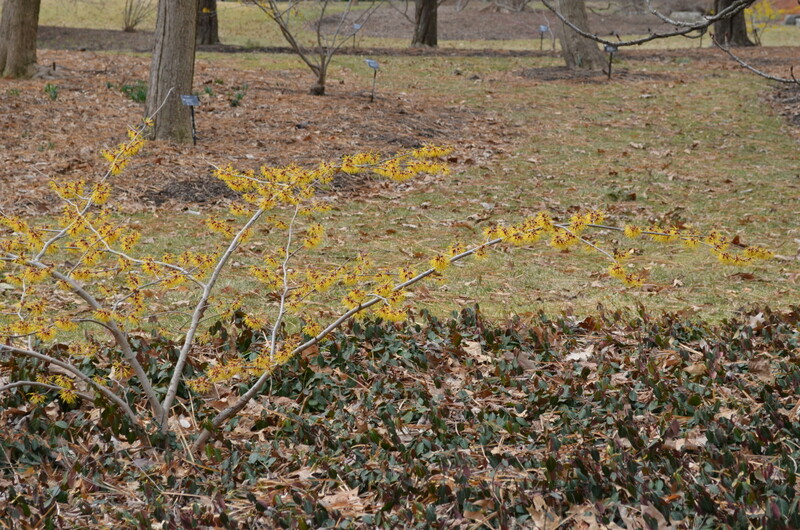 I show a lot of witch hazels here that are some of the intermedia varieties. 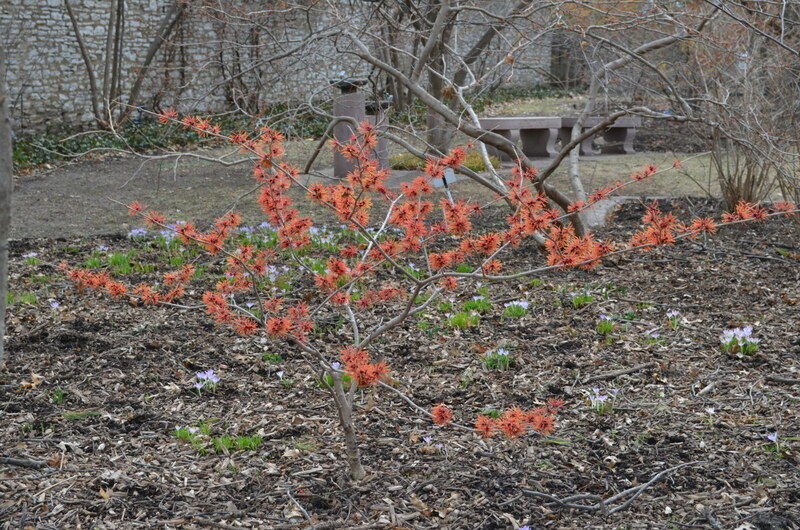 These are hybrid varieties of witch hazels that are a cross between Japanese and Chinese Species. I hadn't realized it at the time, but found it so interesting to learn. I feel lucky to have seen so many different varieties in bloom around the same time, as I have never seen that happen before. 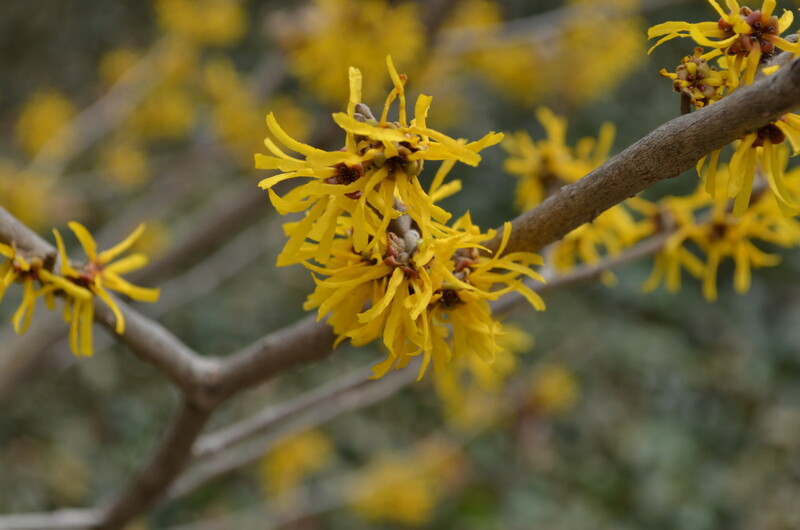 Early March is a great time to see these varieties in bloom, and most will be done blooming by mid April. 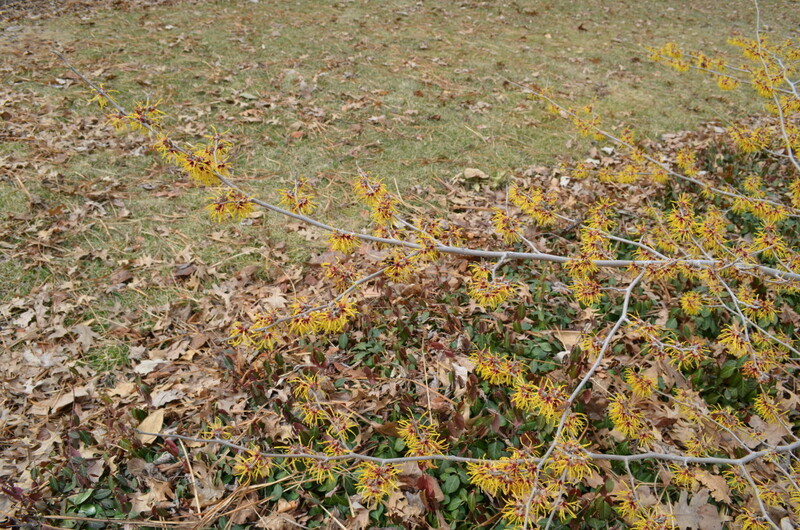 Some, again based on the weather, can bloom late December even, to early January. 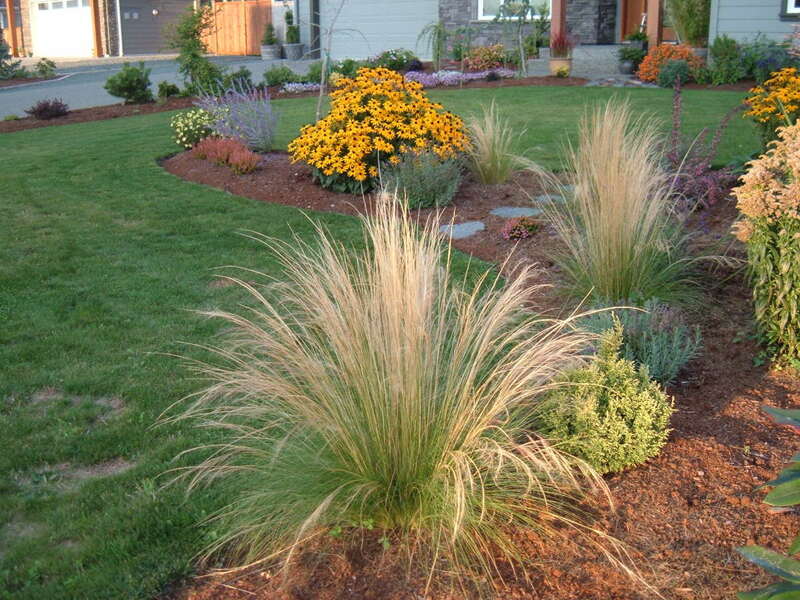 As gardeners plan out their gardens, especially in the "off" seasons, looking for a variety that blooms when you most want to see blooms, is a great idea. We don't usually have much say in when our flowers bloom. So really there are a lot of different answers for when the blooming period is. Even if you get a basic idea, it can change a little if the weather calls for it. The day in which I took these photos was a rather dreary day in late winter, almost early spring. 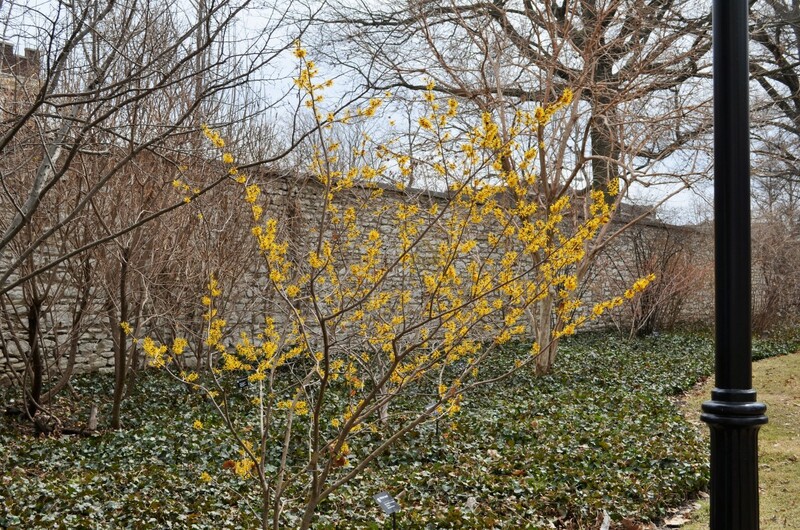 The forsythia trees and shrubs hadn't even begun to bloom yet, and the snow crocus had only just peeked out. I am glad to have the pictures as they are, because hopefully it can still show you how colorful these flowering shrubs and little trees can be in the winter. Picture though, a very bright winter or early spring day. These colors seem to "pop" all the more! 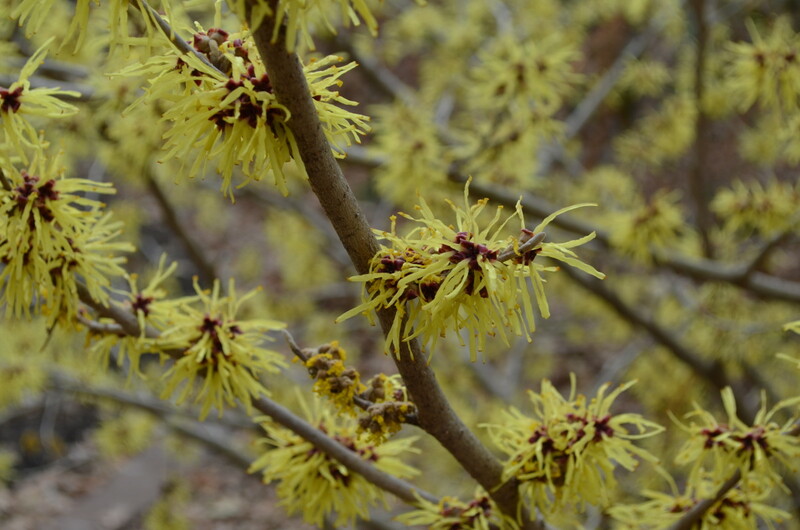 I want to decide on a favorite witch hazel sometime, and get one of my own for my garden. They bring a lot of joy kind of like my forsythia do, hyacinths, daffodils, etc. The only thing better is these come even sooner than the others do. That is impressive. At least to me it is impressive. 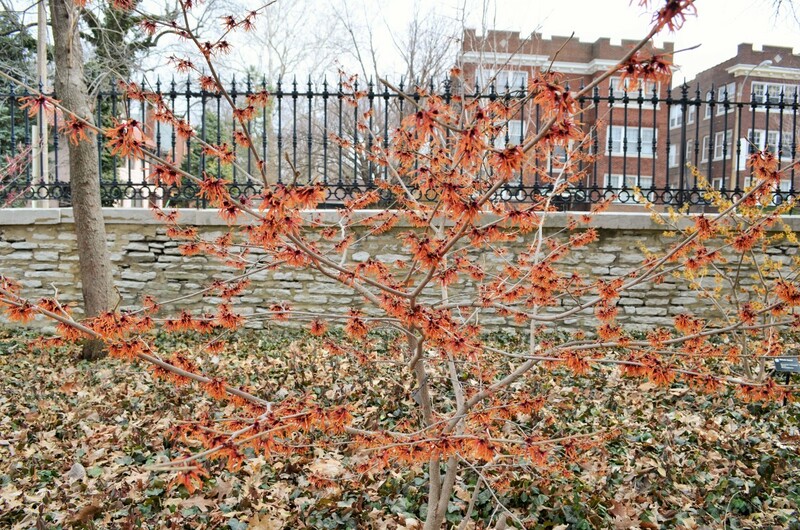 The hazel family is comprised of over 100 different species of trees and shrubs. 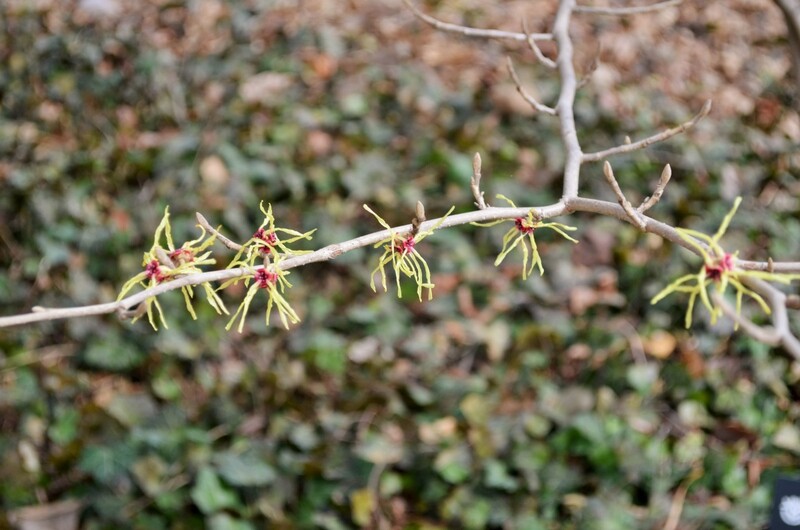 You will find some like trees and shrubs like sweetgums, ironwoods, witch hazels, and winter hazels in this group. 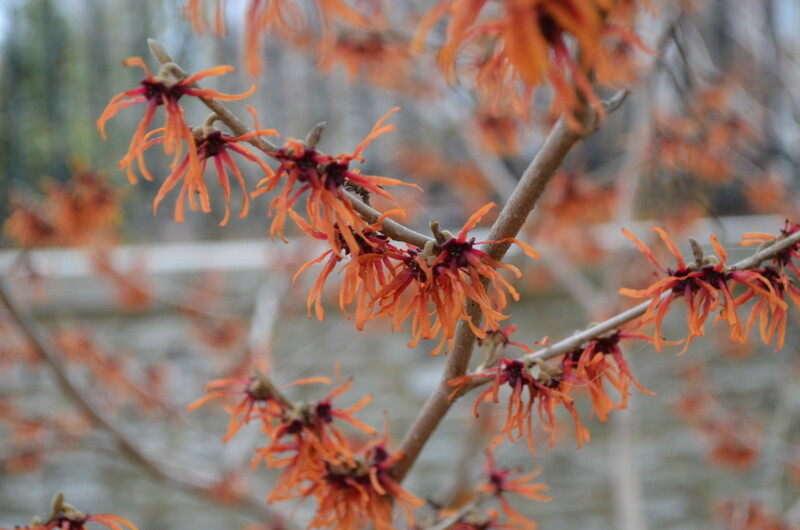 What is shown here is but a sampling of some of the witch hazels that are available. 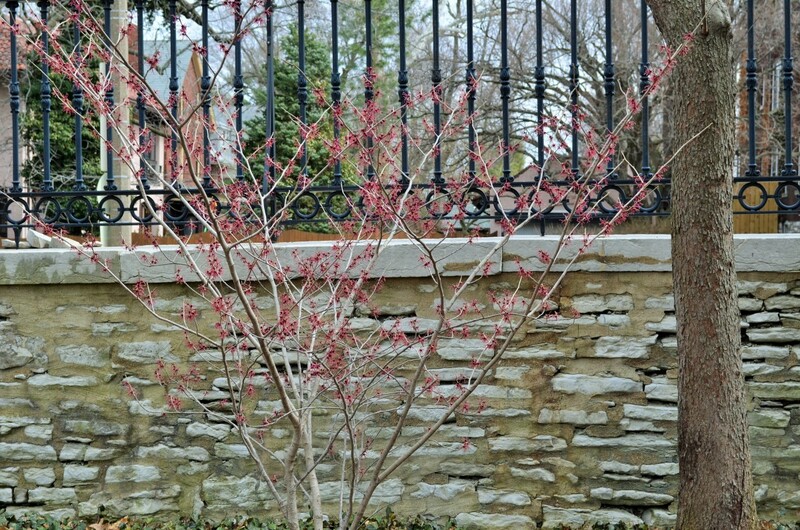 While I love flowers a lot, trees and shrubs are like the "bones" of any garden really. The give it their definition and design so often. 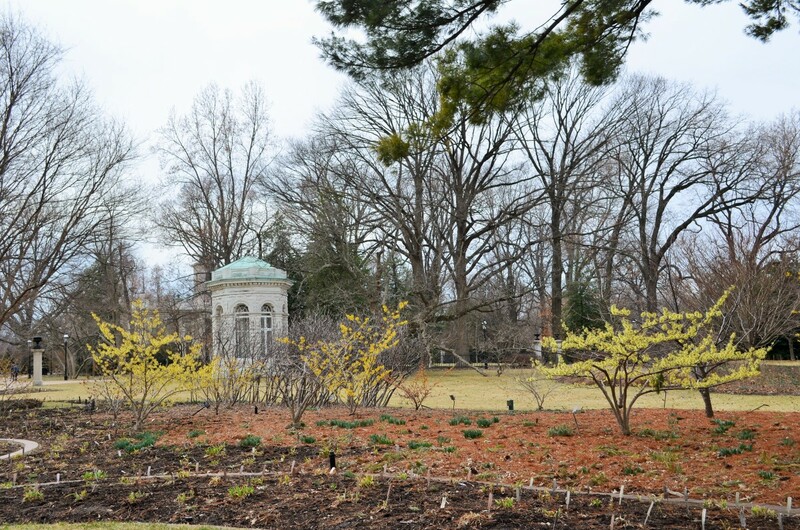 Learning more about the hazel family and so many others can be helpful when planning a garden, or just enjoying gardens that you might see someday. 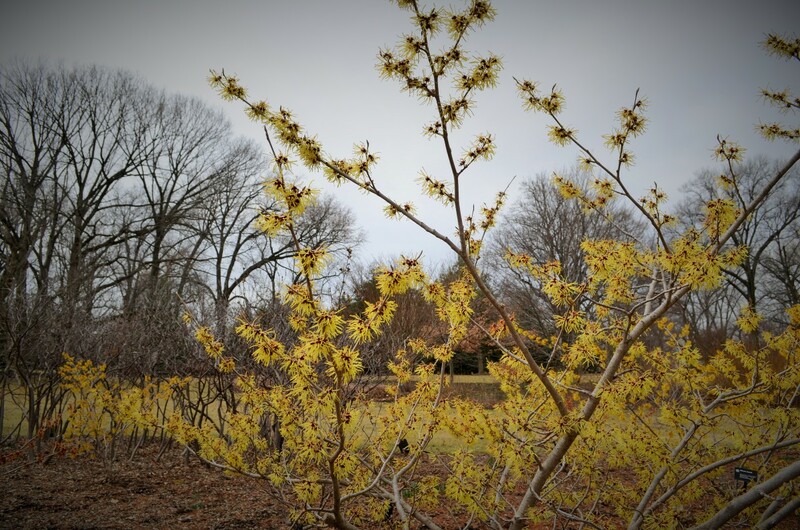 As you can see in one of the photos above, with more of a garden showing and the background, you can really see how witch hazel brightens up an otherwise dreary landscape. I imagine this is why some people are so drawn to them in part. 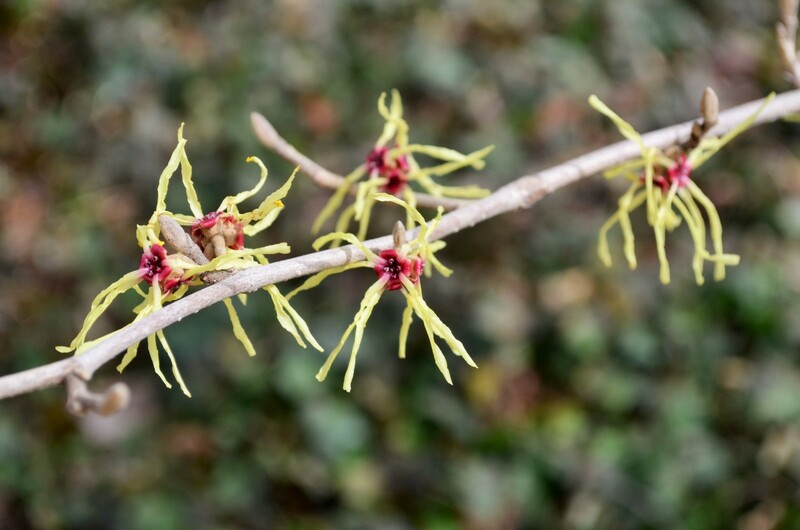 Have you ever had a witch hazel shrub or tree where you have lived? No, but I would love to have one or more in the future. Thanks for your visit and comment! 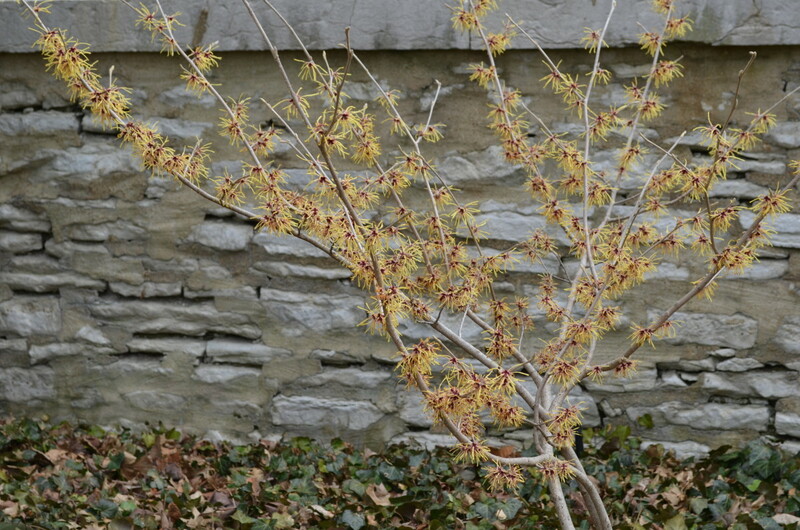 For so long, I had no idea witch hazel grew like this. They are a very unique plant! 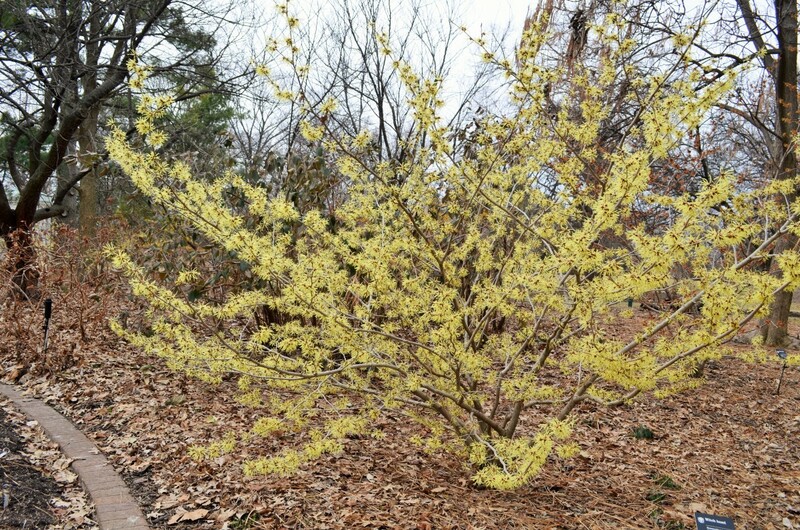 Hello Kevin, since you have never had or heard of a Witch Hazel shrub or tree, I am all the more happy that I shared this. It is a very unique plant with flowers not quite like anything else I have ever seen. So glad you think they are beautiful, and I do too! Thank you for your comment. It was beautiful oceansunsets. 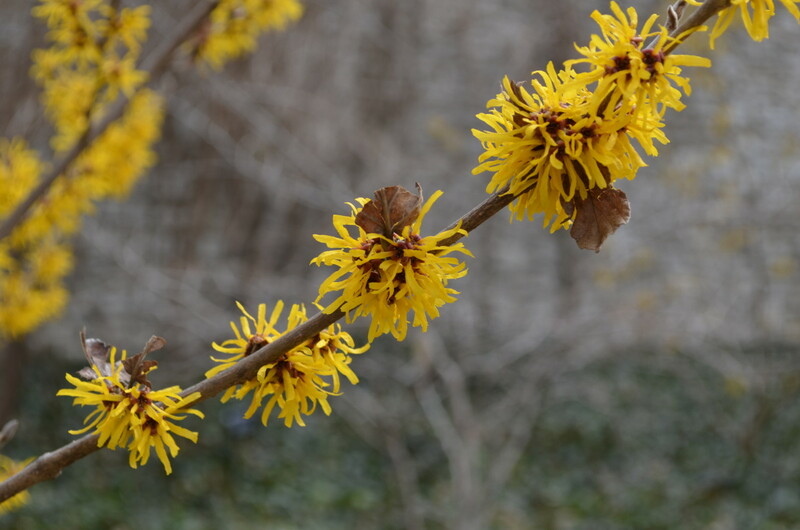 I have never had - or heard of - the Witch Hazel tree. This was very helpful if I ever grow a garden again or if they can be grown indoors. Hello Raymond, I am glad you were able to stop by my hub and so happy you liked it! 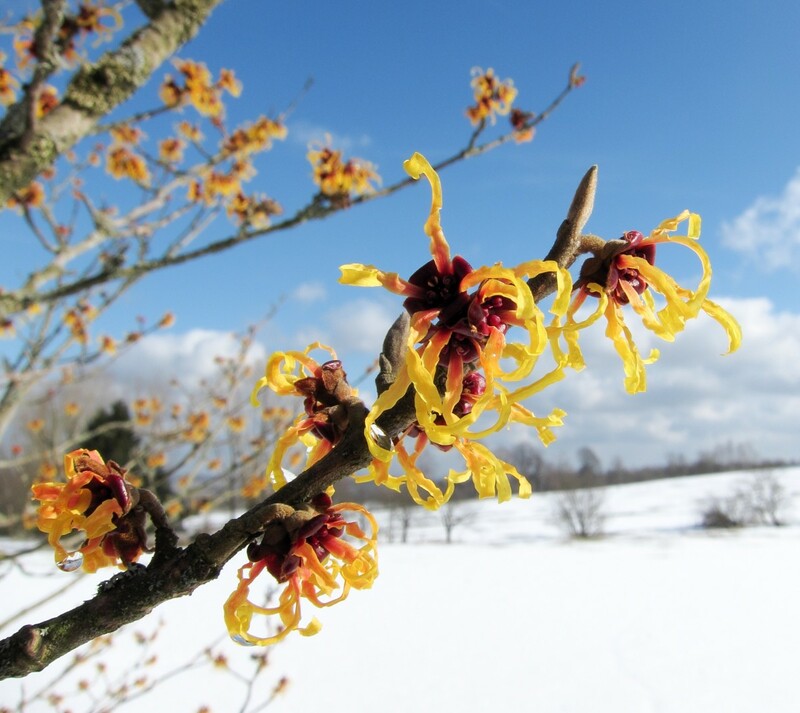 There is something really special about the witch hazels, and they are beautiful I think. I really appreciate your comment, thank you! What a beautiful hub filled with excellent photos of this tree. It could be one of those undervalued specimens. Hello Jp, thank you very much! I too love plants, so it's a joy to find a fellow plant lover. It makes me so happy that you liked the hub, thank you for your comment and visit here! These are wonderful pictures. I love plants and this hub just blew me away. Great job! Thanks so much Kerlund! I am glad you liked the trees, and they do really light things up when its dreary out. I am happy you stopped by and commented, thank you! They are all amazing, what a great tree:) great tips how to light up a bit in fall or spring or depends on the weather! Voted up and beautiful. Hi Abbysmom, I am glad you know what it looks like now, and I recall first seeing it and thinking along those same lines. 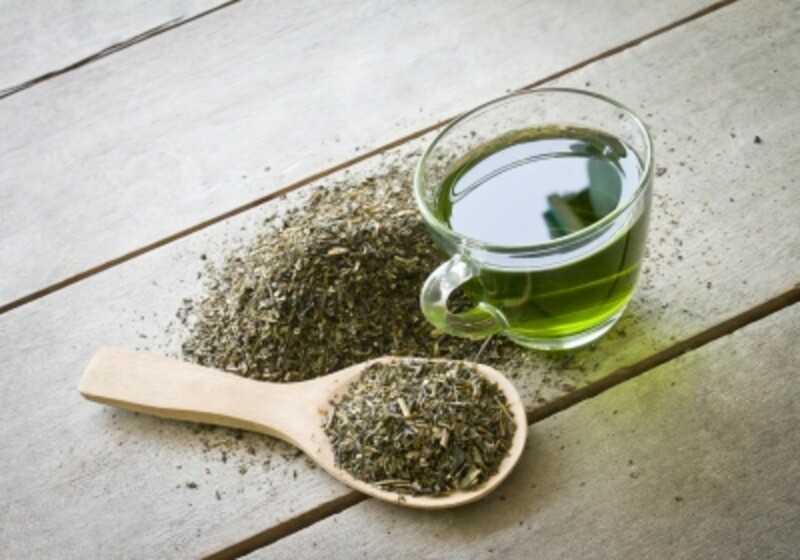 The bark and leaves of milk thistle have been used for a very long time by people, as a remedy like you see with the smaller herbal plants. I love that it is so pretty and very different looking. Thank you for stopping by and commenting! 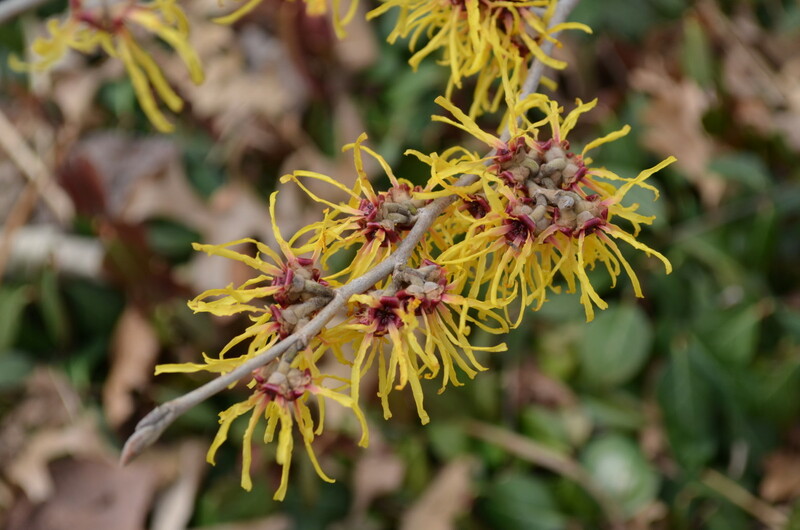 I had no idea what witch hazel looks like, or that it was even a flowering shrub. I guess I thought it was an herb! Thank you for the pics, it's actually very pretty!